He began his studies at the Union Musical de Benidorm and the Conservatory “Perez Barcelo” of Benidorm with the Professor Francisco Javier Garcia Fernandez. He continued with his education at the Madrid Royal Conservatory with the Professors Juan Bautista Abad and Stefan Loyer (soloist bass trombone in the orchestra of the RTVE). At the age of nineteen, he was admitted in the National Conservatory of Music in Paris, with the Professor Claude Chevaillier (soloist bass trombone of the National Opera of Paris). During his stay in Paris, Jose was the main substitute for Claude Chevaillier at the National Opera of Paris, which enabled him to play productions as Salome, La Bohème, Ariane auf Naxos, Le Vaisseau Fantome… under the baton of conductors such as Armin Jordan, Pinchas Steinberg or James Conlon. In 2004, he won the position of soloist bass trombone at the Royal Opera de Wallonie (Belgium). From 2006 to 2008 he took part of the Verbier Festival Orchestra (Switzerland), which enabled him to play in some of the best halls of the world like Musikverein in Vienna, Sydney Opera House, Teatro San Carlo of Naples, Tokyo Opera, etc. with conductors like Hermest Bloomsted and James Levine. Finalist in numerous competitions such as the Opera Orchestra of Rome, Amberes Opera, Philharmonic Radio Orchestra of France, Philharmonic Orchestra of Qatar, etc. 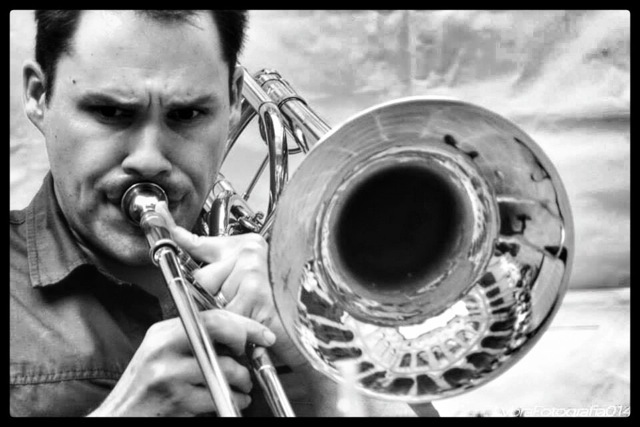 In September 2013, Jose Angel Isla wins the position as soloist bass trombone at the Orchestra de Paris. Nowadays, he is assistant professor at the National Conservatory of Music in Paris. In addition, he is a founding member of Numskull Duo together with Ricardo Molla Albero. He collaborates with the orchestra “les dissonances” in Paris.